11.Commencement and occupancy Certificate if Apartment is complete. c) Trust: Registered Trust Deed and resolution passed thereby authorising the member/s for sale or purchase of the property held by the Trust. 18. Endorsement from Assistant Commissioner (AC) that the land does not fall under “S.T. & S.C. Grant”. 14. Encumbrances atleast for the last 30 years. 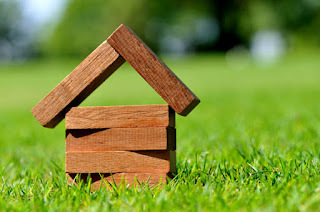 Documents required in connection with the purchase of property will vary from case to case. In general, the following documents are required to be verified before purchase of any property in order to ascertain the valid title of the Vendor. In certain cases, a need may arise for verification of additional documents, in addition to the above, to finally conclude the valid title of the Vendor. Nowadays, Real estate funds are turning towards rental yield assets for investment. The major advantages are the lower risk and regular income associated with such property compared with new developments. At least four real estate funds are raising money about Rs.2,000 crore to invest in rental yield assets. Interest in rental yield assets has also increased as there is now a substantial stock of property with high specifications that was established in the past three to four years. Amit Goenka, National Director, Capital Transactions, Knight Frank India Pvt. 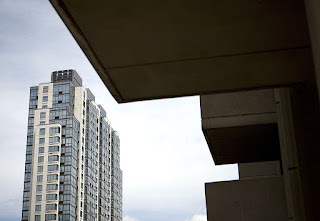 Ltd., said that it is the first time so many rental yield-focused funds are there in the market. He further said that this trend definitely indicates a shift in the model of investment from development, such as residential projects, to developed commercial space that has been completed and rented out. In mature Asia-Pacific markets, 70% of transactions are for acquiring existing yield properties. J M Financial Property Fund, the real estate fund of JM Financial Ltd., managed by Infinite India Investment Management,. is aiming to raise a Rs.400 - 500 crore rental yield fund known as J M Financial Real Estate InCome Fund from domestic investors. The fund has already registered with the regulator. Securities and Exchange Board of India, or Sebi. R K Narayan, Director. Infinite India had said that they are planning to raise the fund from high net- worth individuals and domestic institutions over the next couple of quarters. Anand Rathi Financial Services Ltd. is raising a Rs.250 crore rental yield fund along with real estate consultancy firm Knight Frank_ After deploying up to 75% of this money, they plan to raise a S 200 million offshore fund. Indiareit Fund Advisors Pvt Ltd the real estate fund promoted by Piramal group Chairman Ajax Piramal, plans to raise around Rs.1,350 crore in a debt fund a rental yield fund this year. LIC Housing Finance Asset Management Co., a unit of LIC Housing Finance Ltd., is planning to raise a Rs.500 - 750 crore real estate fund which will invest in rental yield and other assets within real estate. A top LIC Housing Finance official, who did not want to be named, said that they are tying up with different domestic institutional investors and financial institutions. They had registered with Sebi and are likely to launch it by June this year. Consequent to the slump of 2008-09, returns from development projects have generally been lower than expected because of market conditions. The delays occasioned partly by that slowdown, have eroded the internal rate of returns too. Rental yield investments have done better. Earlier this month. Kotak Realty Fund sold its stake in Peepul Tree Properties Pvt. Ltd, an information technology park, to Tata Realty and Infrastructure Ltd, for Rs.385 crore, making a fourfold return. Kotak had invested Rs.95 crore in 2006. Anuj Puri, Chairman and Country Head, Jones Lang LaSalle India, referring to issues such as land acquisition said that Private equity firms are drawn to stabilized assets as they do not carry development risks, which are becoming increasingly difficult to underwrite, given the political flux. It has been estimated that the demand for office space in India over the next five years 2010-14, will be at an approximate 240 million sq.ft. The National Capital Region that is Delhi and its suburbs, Mumbai and Bangalore will account for 46% of this demand, according to the 2010 Cushman and Wakefield India Real Estate Investment Report. Narayan of Infinite India opined that for developers, this is a good alternative source for funding and to monetize their assets because real estate mutual funds have not taken off yet and real estate investment trusts have been a non-starter in India or for Indian developers. 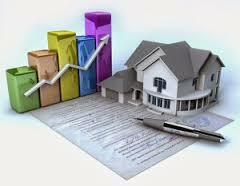 Real estate mutual funds invest in property, either directly or indirectly. In a major relief to flat Buyers and Society Residents, according to the State Government, there is no need for a No-Objection Certificate (NOC) from the Developer for sale or transfer of flat (resale) in a fully constructed building. The State Housing Department has issued an Official Communication in this regard after coming across cases, where the Developers have illegally collected the money from flat Buyers for providing such NOC’s. The Department claims to have received complaints stating that the Developers had collected upto Rs.500 per sq.ft. in such cases of transfer of a 540 sq.ft. flat Buyers are forced to cough up an additional Rs.2.7 lakh or so. According to the Department, there was no requirement for NOC under norms mentioned in the Maharashtra Ownership of Flats Act (MOFA). The MOFA norms requiring formation of the Society and conveyance of the plot to the Society within a stipulated time after completion are not being observed in a very large number of cases. Recovery of illegal amounts in the name of NOC for sale or transfer of flats is being reported in several cases. The Department has also written to the Inspector General of Registration, asking him to ensure that Officials in the Registration Department register sale documents without insisting on the NOC from the Developers. The Departments says, it has received complaints, where Officials have refused to register the documents without the NOC. The Cidco, which has leased out a number of properties in Navi Mumbai, has also been asked to ensure that Developers of these plots comply with MOFA norms. The Department has sought Cidco’s opinion on whether its permission was needed for transfer/sale of flats for plots leased by it. The Department is of the opinion that the permission-insisted upon at present is not required. The Government has urged Societies, where the Developers haven’t conveyed plots within stipulated time to apply for deemed conveyance. In our Country, whenever a person wants to get any permission any certificate etc, he has to wait for ages or alternatively grease the palms of the officials and get the things done. Whenever any file is submitted, the public are at a loss to know about the fate of their files and to add insult to injury, corruption is ruling the department’s right from the lowest level to the top level. With the enactment of the Right to Information Act, 2005, by the Parliament, a ray of hope has emerged in the minds of the Public to get the Official machinery work in a corrupt free atmosphere since; this Act gives power and paves the way for the honest Citizen to get their Official work processed without undue delay. If used properly, this Act could become a weapon to bring down the corruption in Government Departments. A very encouraging development as far as this Act is concerned is that it is just not restricted to Government and Municipal Corporations, but also includes all Public Authorities viz. Organizations, NGOs and other bodies which are financed by the Government. The Right to Information Act is indeed a very beneficial Act for the common man and if used in a proper way, it may lead to less sleaze and more transparency. d) Obtaining information in the form of diskettes, floppies, tapes, video cassettes or in any other electronic mode or through printouts where such information is stored in a computer or in any other device. Thus, by invoking the provision of the Right to Information Act, an Applicant who has been unsuccessful in getting his building plan sanctioned or in case of inordinate delay in obtaining such sanction despite the plan complying all the statutory requirements and Bye-Laws prescribed, can now put the BBMP Administrative machinery to work speedily by seeking, inter alia, the following questions to be answered by the Public Information Officer of the Department. a) What is the status of his plan? b) How many other plans were submitted on the day on which plans was submitted by him? c) Out of those plans, how many have been sanctioned? d) What has happened to all the other plans? Further, he is now entitled to ask for the inspection of documents, records, take notes and obtain certified copies. How to write an application? A white sheet of paper shall be used to write an application. There is no need to use a Note-sheet, or the Court stamp paper. There is no restriction on number of questions that can be asked in one application. However, it is advisable to ask with limited set of questions and only related questions with one application. One may ask as many short questions that he / she may like to. But large information at a go is not preferred. Reasons behind an "administrative" or a "quasi-judicial" decision under Section 4(1)(d) shall be asked , especially if one is an "affected person"
To whom the application should be addressed? The details of Public Information officer, name, address etc. whom one wants to apply to should be written. In case there is a problem in locating the Public Information Officer/Assistant Public Information Officer, the RTI application can be addressed to The Public Information Officer, C/o Head of Department and sent to the concerned Public Authority with the requisite application fee. The Head of Department will have to forward the application to the concerned Public Information Officer. The specific name of the Public Information Officer should not be mentioned on the application form, as there is every chance that he might get transferred, or a new person being designated in his place. 1)The Application should be in writing or through electronic means in English, Hindi or in the official language of the area, to the PIO specifying particulars of the information sought for. 3) Prescribed fees shall be paid (if not belonging to the below poverty line category). How to submit a RTI Application? Information, which affect the sovereignty and integrity of India or security, strategic, scientific and economic interests of the State in relation with Foreign State and certain information as mentioned in Sections 8& 9 of the Act may be denied to be furnished. By invoking the provisions of this Act by the Public, the Administrative Machinery can be put on the right track which in turn can help in the reduction of corrupt practices. The secured creditor or his authorized officer may take recourse to one or more of the measures provided in sec.13 (4) of the Act to recover his secured debt who has the following options. He may take possession of the secured assets of the borrower including the rights to transfer by way of lease assignment or sale. He may take over the management of the secured assets of the borrower, including the right of transfer of lease assignment sale. 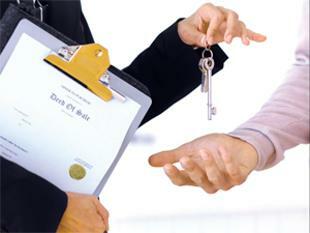 He may appoint any person as manager to manage the secured assets, the possession of which has been taken over. The secured creditor may require by notice any person who has acquired any secured assets from the borrower and from whom any money is to pay the secured creditor so much of the money as is sufficient to cover the secured debt. Both in the case of movable and immovable properties, it is obligatory to serve a notice of thirty days to the borrower about the sale. The notice of sale shall be also published in two leading widely circulated newspapers, of which one shall be of the local language. The public notice shall contain important details of the property, the amount of dept, reserve price, time and place of public auction earnest money to be deposited etc. The notice shall be affixed on the conspicuous part be put on website.Sale by any other modes than auction/tender shall be on terms settled between the parties. After confirmation and completion of sale process, the authorized completion of sale process, the authorized officer shall issue a sale certificate in favor of the purchaser in the prescribed format. If the secured assets are movable properties, the authorized officer shall take the possession in the presence of two witnesses. The panchanama shall conform to the prescribed format. After taking possession, the authorized officer, shall prepare an inventory of the property as per the format prescribed and shall deliver a copy of such inventory to the borrower or his authorized agent. If the property is subject to speedy or natural decay or expenses for keeping such property are likely to exceed the value of the property the authorized officer may sell it at once. It is the duty of the authorized officer to take proper care and take steps for preservation and protection of the assets. If necessary the assets may be insured until they are sold or disposed of. 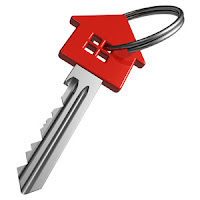 While taking possession or sale of the secured asset, the secured creditor may request the help of chief metropolitan Magistrate or District secured assets fall. Under sec.17 of the Act the person aggrieved by the actions of the secured creditor as provided in sec13(4) may make an application to the Debt Recovery Tribunal having jurisdiction, within 45 days from the date on which action has been taken. Similarly any person aggrieved by the order made by DRT under section 17 may prefer an appeal to the appellate tribunal within 30 days from the date of the order. Transaction not covered under the Act. The following transactions are excluded from the provisions of the SRFAESI Act. b] Pledge of movables within the meaning of sec.172 of the Indian Contract Act. The housing loan borrower may note that if they default in payment of dues to banks and the loan account become NPA the banks can initiate action under the SRFAESI Act issue notice to the borrowers, take possession of the building and proceed to realize the dues by sale of the mortgaged property therefore it is suggested that the housing loan borrowers may repay the housing loan as per schedule to protect their property.